Brian T. Prairie from Ravenspring Creative surreptitiously captured some audio on his phone from our July gathering and put it up on YouTube. I think it’s a pretty fair representation of the feel of a typical singalong night. Come join us next month! 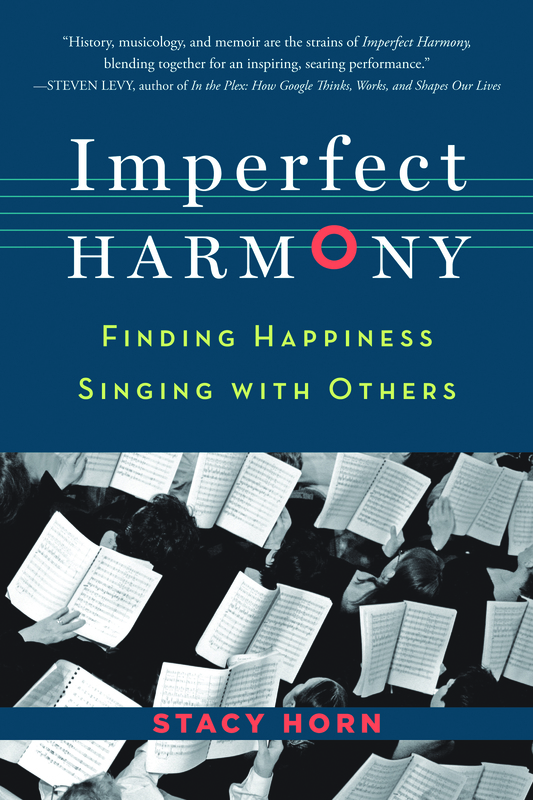 Here’s a great article about some of the benefits of group singing, from Stacy Horn at Time. Folklorist Alan Lomax spent his career documenting folk music traditions from around the world. Now thousands of the songs and interviews he recorded are available for free online, many for the first time. It’s part of what Lomax envisioned for the collection — long before the age of the Internet. Hear the report from NPR. On a windblown, gray Chicago day 100 years ago, January 17, 1915, Ralph Chaplin left his home on the South Side for a raucous, poor person’s rally at the city’s famous women’s center, Hull House. He asked a visiting friend he’d met organizing coal miners with Mother Jones to listen to the lyrics of a new tune he had been working on. It is now one of the most beloved of all Union Hymns. It was then borrowed for the marching song John Brown’s Body during the American Civil War, and then refined as The Battle Hymn of the Republic. The tune is now known and sung worldwide as a rallying inspiration for working people. When we sang it at the Labor Notes conference last Summer, it was in multiple languages simultaneously, and one of the most beautiful things I have ever heard. 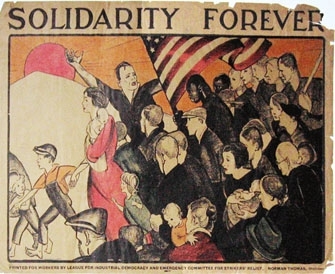 Read the article: ‘Solidarity Forever’ Written 100 Years Ago, Today | Labor Notes. I had the privilege of spending some time with Bill Yonka on his WKAN morning show today. Here’s our discussion about the singalong. Click below to download the MP3. Let people know about our sing along gatherings. Click on any of the images below to download a PDF file, print it out and distribute, or post wherever you can. Thanks for your help! Many thanks to Christopher Clark of FEED for the cool designs. We gathered at FEED on the evening of International Workers’ Day for our very first singalong. Michael Costanza had asked that I say a few words at the onset about the idea behind what we were doing there, so here is what I said (more or less). The main idea behind what we are doing is pretty plain. It’s a joy to raise our voices together in song! We used to do more of it before the days of mass media, but over the last century, for more and more people, music has become just another commodity to be bought and sold, like a pair of sneakers. It’s something that we pay 99 cents for on iTunes, or it’s something that some people get rich making or selling, or something that people dream of getting rich making or selling. Our very sick society tells us that if we don’t place a monetary value on something, that it has no value. So this beautiful, rich, ancient tradition of singing together has been stolen from us. We began with Woody Guthrie’s This Land is Your Land and ended with John Tams’ Rolling Home. In between we went around the circle each in turn, singing everyone from Graham Nash to Pete Seeger to Jeff Tweedy to James Taylor. We even spent a little time with Pink Floyd. Also, we sang a few traditional songs, like Old Joe Clark and The Farmer In The Dell – and a couple of old union songs, too, in honor of the day. It was nice that everyone who wished to do so had an opportunity to choose or to lead a song. We were a mess on some, but it was fun anyway. There were some beautiful harmonies, great energy and lots of smiling faces throughout the evening. Some of us brought lyric sheets to share. Some of the songs we looked up in songbooks or on the Web. Some, we simply sang along with the leader as best we could. Future singalongs may be conducted differently, with a little more structure at some times and a little less on others, but however we structure things, I hope that the spirit of our first singalong will remain. Because on the night of May 1st, 2014, thirty-one souls in Kankakee (from toddler to senior citizen) remembered and proclaimed that the music belongs to all of us. P.S. : If you’re on Facebook, you can find some photos of our first gathering here. 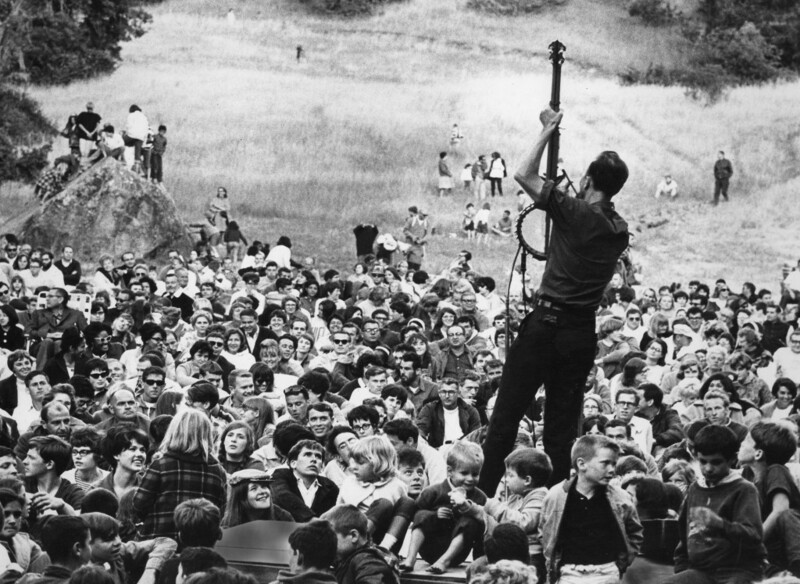 At the center of what we call “Folk Music” is something called the “Folk Process.” The phrase was coined by Pete Seeger’s father, musicologist Charles Seeger, to describe the way songs are received, reinterpreted and transformed from one generation to the next. The history of the Cuban song Guantanamera is a pretty good example. The song first gained popularity in Cuba on the radio programs of José Fernández Diaz, who created new verses of the song for his show based on current events of the day. As a result, the song became a vehicle for all sorts of themes and commentary through the years. Cuban composer Julián Orbón adapted some verses of poet (and hero of Cuban independence) José Julián Martí Pérez to the song, and that was the basis for Pete Seeger’s version, which he contributed to the Peace Movement in the wake of the Cuban Missile Crisis as a sign of solidarity between the American and the Cuban people. A subsequent recording of the song by The Sandpipers was a top ten hit in the United States and in Great Britain in 1966. The video above is from a performance at Wolftrap on August 8, 1993. It’s beautiful how Pete leads the audience to sing. Pete Seeger was fond of saying that if the human race survives another hundred years, music will be a big part of the reason. His passing has prompted me to think a great deal about the role of music in our lives and in our world. I believe, and Pete certainly believed, that music can be something other than a commodity. I made my living playing music for several years (many years ago). As much as I enjoyed being a “professional musician” I can tell you that much of the downside of doing it had to do with the often inherent conflict between the marketplace and the muse. I can also say without any doubt that some of the most enjoyable and rewarding moments of my life singing and playing music have been impromptu jam sessions with other musicians, singing at church, singing in the car with my kids and other such situations where no money changed hands. There ought to be opportunities in every community for regular people to come together and sing for the joy of singing. Before the days of mass media, people did more of that. People sang together while they worked, they sang together in their homes, they sang together (and for each other) at parties and other community gatherings. They didn’t need the constant intervention of an electronic device to keep them entertained and engaged. There is a rich tradition of Folk Music in the United States, with songs that tell the story of our country and that help us better understand our history and heritage. I think that Folk songs can also help us better understand what’s going on in the world today, and help us better understand each other. It’s with all of this in mind that I am working to organize the Key City Singalong. I hope that you’ll join in. We're on hold for the time being, with no gatherings planned at the moment. Keep an eye on this site for information about future sing alongs.